In 2017 I had the great honor of attending the Academy of Culinary Nutrition. This program offers practical, everyday, natural cooking skills as well as a deeper exploration into the therapeutic properties of the foods we eat and how we prepare them. I learned so much throughout the program and it furthered my love for food, and cooking healthy meals for my family. Each year The Culinary Nutrition Team puts out an ebook, where 100% of the proceeds from sales go to Organics 4 Orphans. Organics 4 Orphans seeks to address extreme poverty by helping African communities move from reliance on food aid to conditions of self-sufficiency. They do this by equipping small-scale farmers with the resources and knowledge to farm organically and productively, and then asking those farmers to help orphans in their communities. By alleviating the strain of food insecurity in poor, rural areas, Organics 4 Orphans creates capacity in those communities to care for orphans, the most vulnerable of the extreme poor. 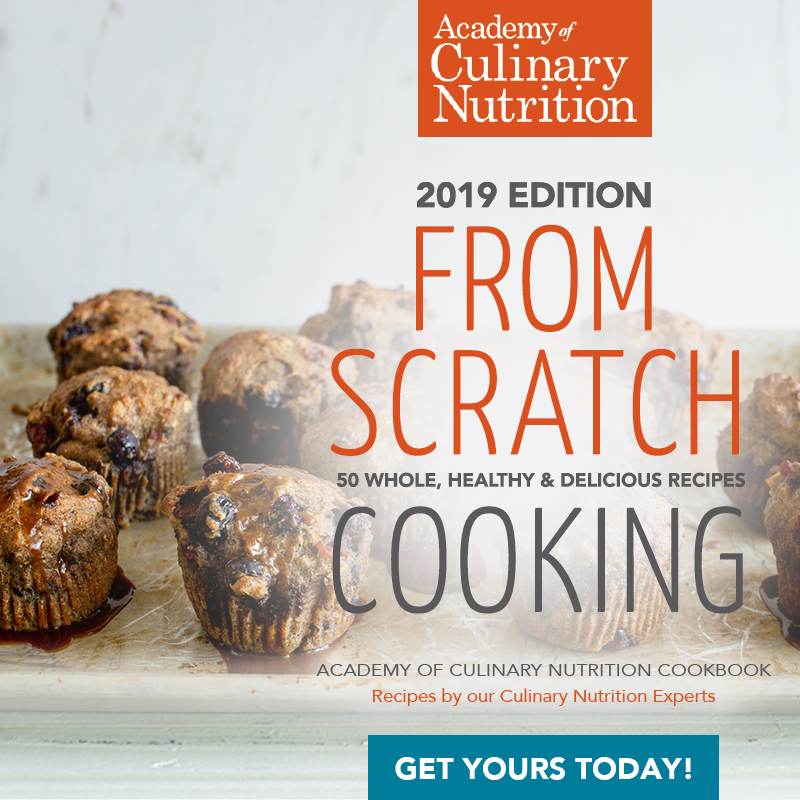 I’m happy to report From Scratch Cooking: 2019 Edition has landed on the virtual shelves! This beautiful digital cookbook contains 50 recipes that were graciously donated by some of the Culinary Nutrition Expert Program graduates. 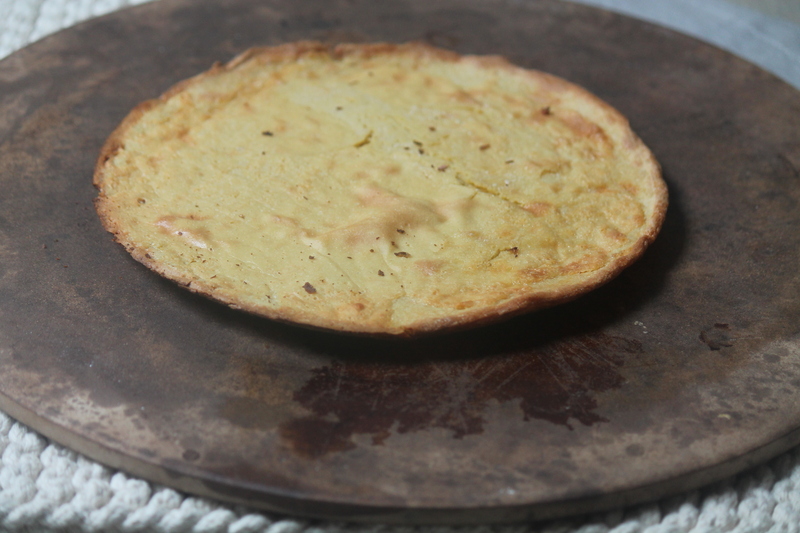 Each recipe is gluten- and dairy-free with vegan and paleo options. You will receive instant download upon purchase. 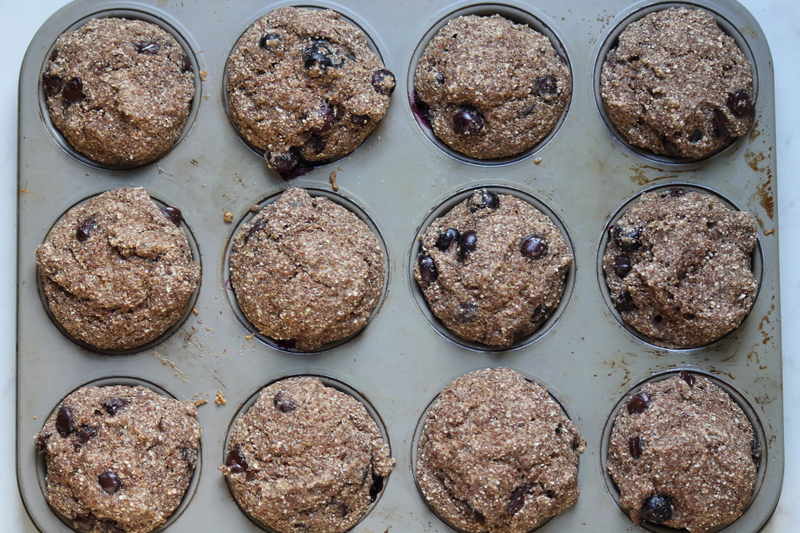 I’ve been given permission to share these Berry Walnut muffins with orange glaze that are featured in the cookbook. 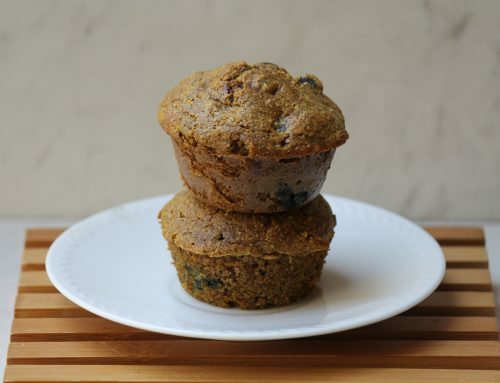 This recipe comes from the talented Andi Smith, CNE alum and health coach. 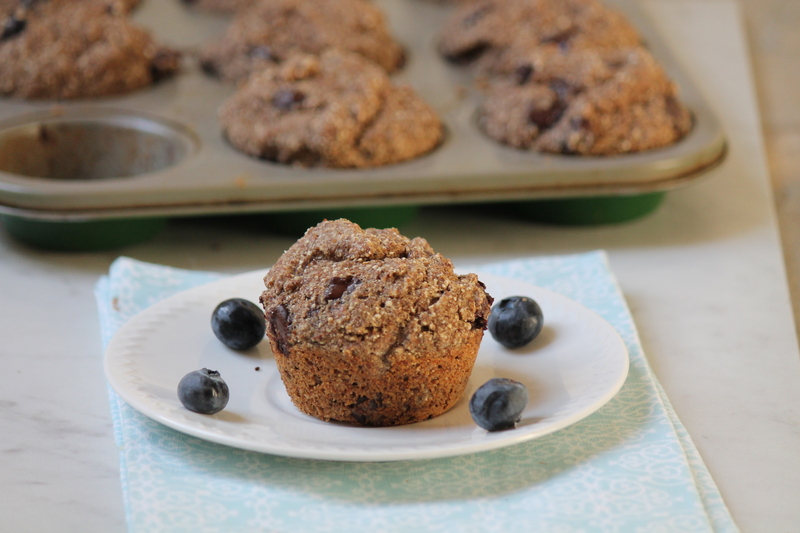 You all know I love my muffins and these make a healthy and hearty addition to the breakfast rotation. The blueberries add a dose of antioxidants while the orange glaze adds just the right tang and sweetness. By purchasing From Scratch Cooking you will be supporting these communities to build their own food gardens, healing medicine gardens, feed orphans and support the local economy in a local, sustainable way. The goal is to raise $15,000 and you can help achieve that by Clicking here to purchase your copy now. 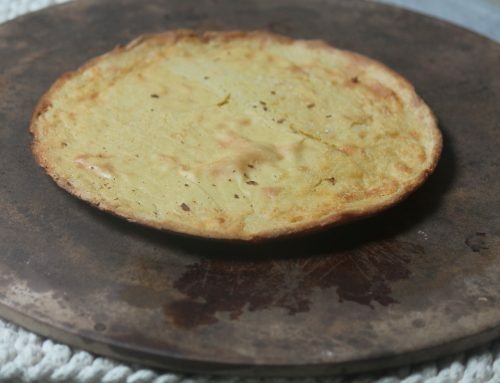 Preheat oven to 325 ˚F and lightly grease or use paper liners in a 12-cup muffin pan. In a large bowl, mix together buckwheat flour, flax meal, baking powder, baking soda, cinnamon, allspice, and nutmeg. In a smaller bowl whisk together eggs, almond milk, honey and applesauce. Combine ingredients to the dry ingredients and mix well. Fold in blueberries, cacao nibs and walnuts. 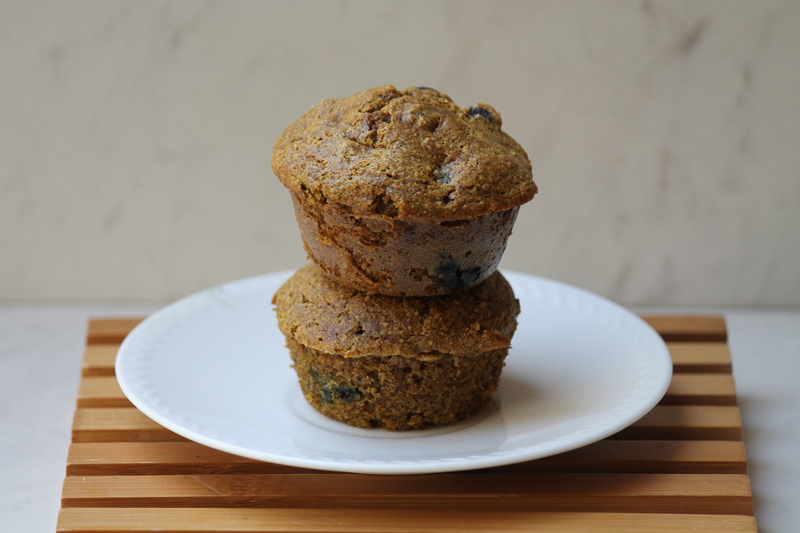 Fill muffin cups evenly and bake 15-20 minutes. To test that muffins are baked thoroughly, insert a toothpick into the middle of muffin, if it comes out clean they are done. While muffins are baking make the glaze. In a small bowl mix together all the ingredients for the glaze until smooth. Cool the muffins for 10 minutes. Drizzle muffins with glaze just before serving.